The 2018-19 school year is officially underway. Our teachers and students are looking forward to a faith-filled year of learning ahead. Please share your "back to school" photos with us at https://www.facebook.com/northcountycatholicschools/, and stay tuned to upcoming newsletters to learn about the good news happening in our Catholic schools in north county! 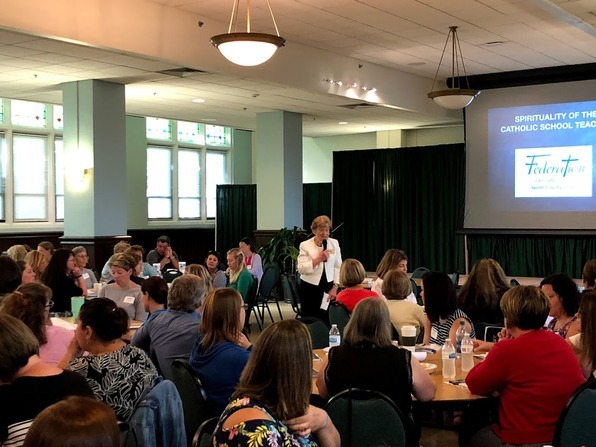 To start the year, over 165 teachers from all of our Federation schools came together for a Day of Recollection on Thursday, August 7th at the Cardinal Rigali Center. Sr. Nathalie Meyer, interim Superintended for the Office of Catholic Education and Formation, welcomed the teachers and Fr. Ronny O'Dwyer, Director of the Billiken Corps at Saint Louis University, led the day with the theme "Teaching as Joyful Witness." 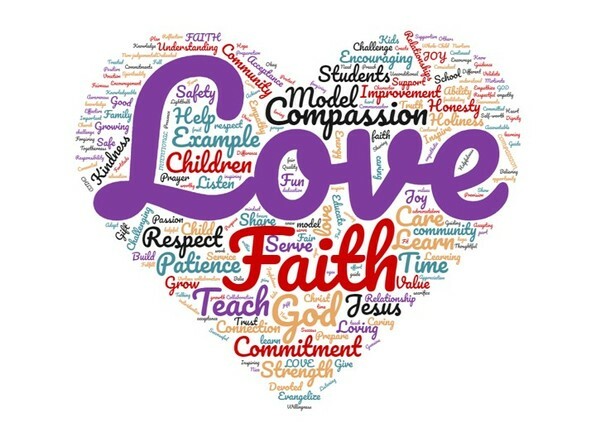 Early in the day, each teacher wrote three words of commitment that mark their vocation as an educator. We compiled all the words and produced this graphic representation below right (the larger words were the ones that were written the most). Each teacher also received a copy of the book "Embrace the Mission: Be the I in Evangelize" by Sr. Patricia McCormack. The day concluded with Mass in the Rigali Center chapel, with a Renewal of Baptismal Promises. What an awesome way to send forth our teachers to the classrooms where they will form and guide our 2,000 Catholic elementary students in north county this year. as they begin the school year journey together! 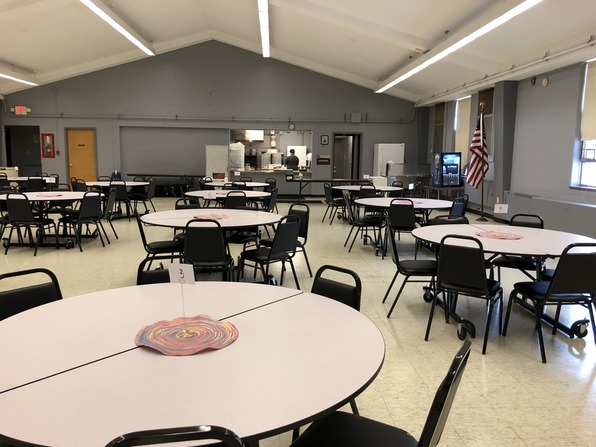 Christ Light of the Nations School has been busy this summer creating a worship space in the cafeteria for the new school year. At the end of the 2017-18 school year Our Lady’s chapel was closed. Christ Light used their North County Enhancement Grant to create this new worship site for the school community. On the first full day of school, students were each given a special "reservation card" for a seat at their numbered table in Tolton Hall. Students now gather each morning for prayer in Tolton Hall before school begins, and starting next week the weekly all-school Mass will be celebrated there. Everyone was excited to see the upgrade and fresh look throughout the school including a bright new color on the hallway walls! Sept. 8 - Youth Ministry "Amazing Race"
Come visit, experience, and get a glimpse of what's next at Trinity High School at the President's Meet and Greet on September 21st, 6pm-8pm at the Duchesne-Trinity football game. 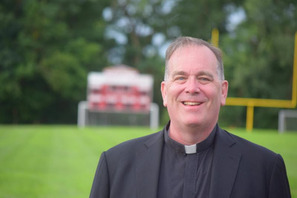 Meet Father Jeff before the game, enjoy a beverage and a snack, see the recent renovations to the campus and enjoy a great football game. 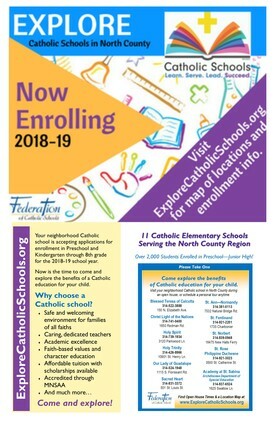 Our Schools are Now Enrolling for 2018-19! We are ready to welcome new students in preschool through Junior High. Share this map of the locations and contact information for our north county elementary schools!